I wasn’t exactly sure what I was looking at. And then things started to make sense, you can see the city lights outline the US and the geographical footprint of other places and then this swirl mixture that basically takes over Canada. It’s the Aurora Borealis at night. 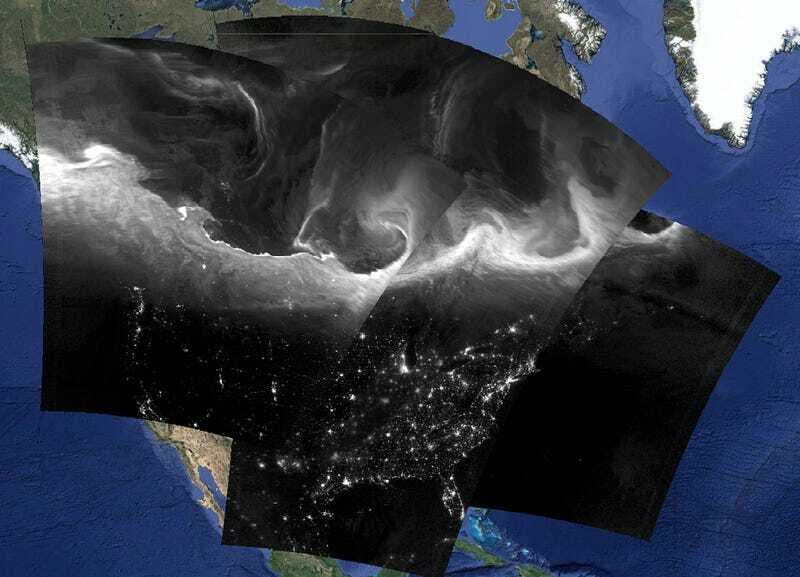 This is a composite image of Suomi NPP VIIRS Day/Night Band images show the bright and complex signature of the aurora borealis across southern Canada and the northern United States during the nighttime hours of September 8, 2015.